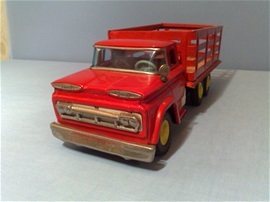 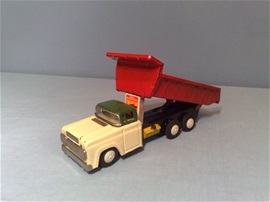 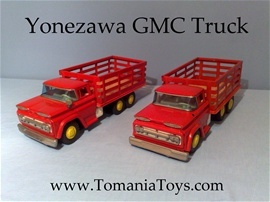 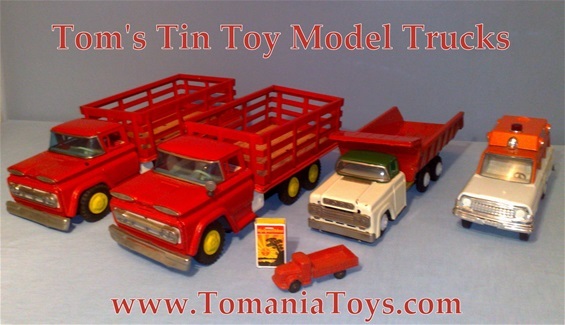 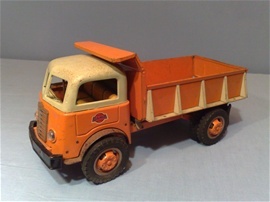 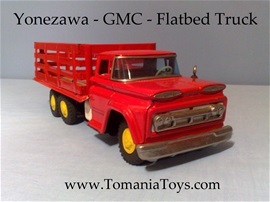 Yonezawa (Japan) large GMC Stake Truck - impressive tinplate model has red cab, detailed tinprinting to interior, black chassis, red body/cabin and red back-carrier with "woody-plane", white petrol tanks on both sides, great shape, includes rubber tyres with yellow hub caps, drivers mirror and blueish colored celluloid windshield intact! 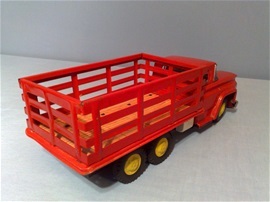 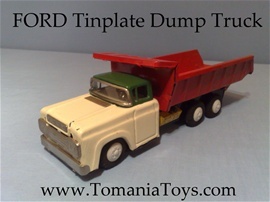 Red Dumper case with "Tipping-Function" with lever - six rubber tyres with white hub-caps! 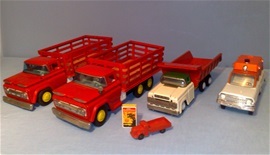 Collection Photo to show Size!